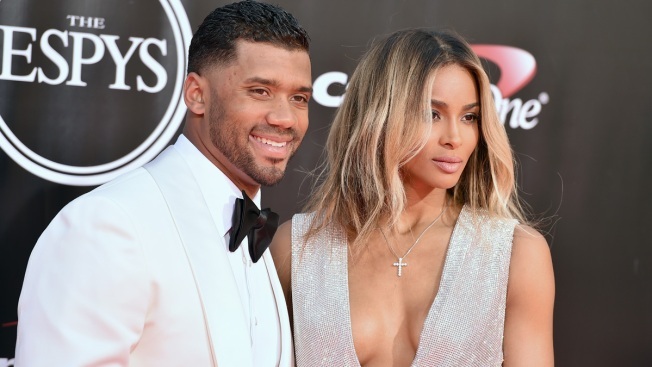 In this file photo, NFL football player Russell Wilson, of the Seattle Seahawks, left, and Ciara arrive at the ESPY Awards at the Microsoft Theater on Wednesday, July 13, 2016, in Los Angeles. Though Wilson is an NFL quarterback, he has a connection to baseball. He played in the minor leagues while in college. Seattle Seahawks quarterback Russell Wilson and his wife, the singer Ciara, have joined the effort to bring Major League Baseball to Portland. The Oregonian/OregonLive reports that Portland Diamond Project, the company leading the push, announced Friday that the husband-and-wife celebrities have each invested individually as "owner/investors" in the project. The Diamond Project's leadership has stressed that its effort will take time, estimating an opening day in Portland would come in 2022 at the earliest. MLB Commissioner Rob Manfred has called Portland a candidate to acquire a franchise whether by expansion, which hasn't happened in 20 years, or relocation.